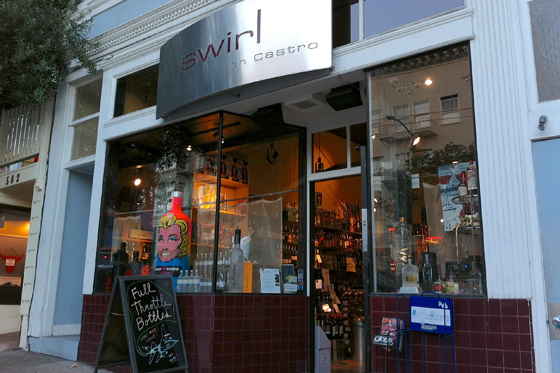 Last year, when we were waiting for a seat at the awesome Anchor Oyster Bar, I noticed a cute little wine shop across the street called “Swirl” – fantastic name – and was intrigued. 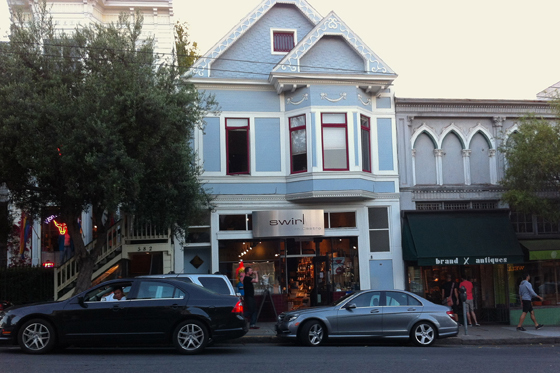 I later found out that not only was Swirl a shop, but it was also a wine bar – what a great idea – sample, relax, find something special, buy. I also found out later that Anchor actually refers their patrons across the street to have a drink when the wait at the restaurant is long (and even checks for them there if they know they’ve gone)! Sweet! Well we’ve been to Anchor several times since then, and since we live in the area we’ve been nearby several times for other things, but I had never gotten a chance to visit the wine shop, until tonight. Nick’s parents were visiting, and we thought not only would they like Anchor, but they might like to check out the shop and maybe have a glass of wine while we were waiting for a table. Yes! I’d finally get to check it out! I love the look of the place – even from just the outside. Inside, the shop is well lit and organized, and the decor is so pretty. 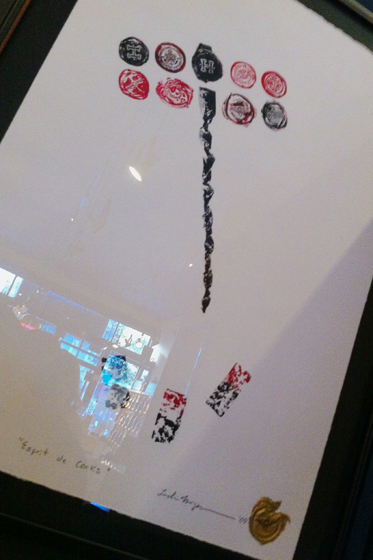 The art piece on the right was made with corks as stamps. Very cool. We had a flight of three featured wines for only $10. 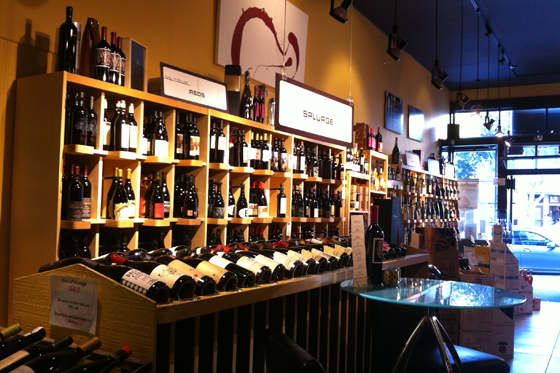 Great price (and nice wines)! 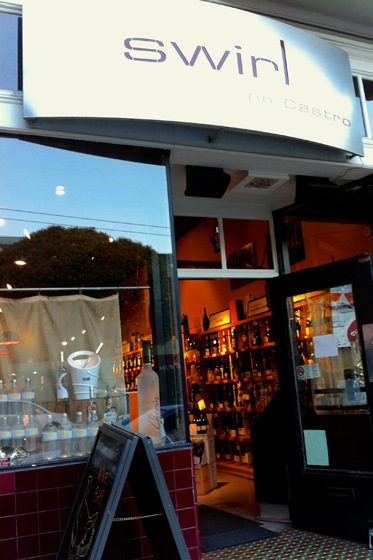 The staff is super nice, accommodating, and helpful, too. 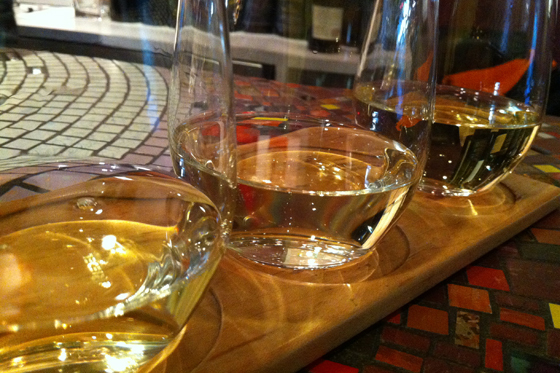 As are the regulars – one shared a cheese plate with us that he had brought in to enjoy with his wine! 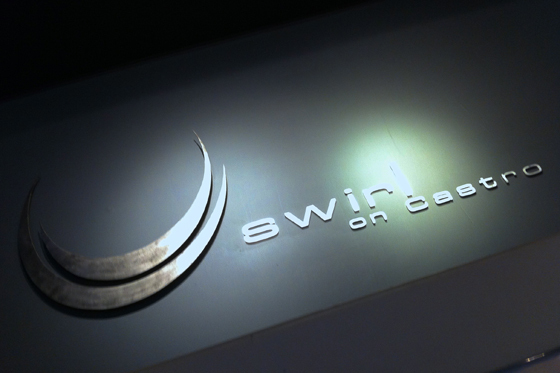 I really enjoyed my first visit to Swirl, and I’m excited to go back – this will definitely be my go-to place for something special! Always wanted to check out that place….thanks for doing it for me!